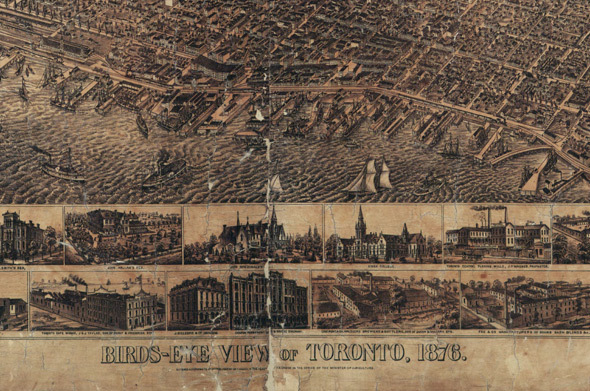 The 1876 Bird's Eye View of Toronto map is surely one of the most marvelous cartographic tributes to this city. The work of P. A. 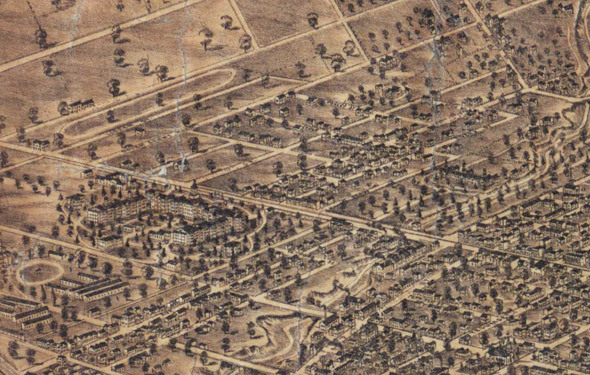 Gross, who at one point or another sketched almost every building in Toronto, the map is both monumental and beautiful. And aside from a few instances of wonky perspective, it's also surprisingly accurate. 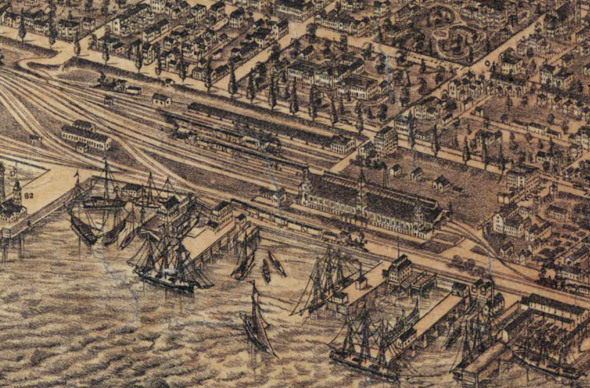 Those interested in the history of Toronto could likely spend hours examining the state of the city roughly 135 years ago. 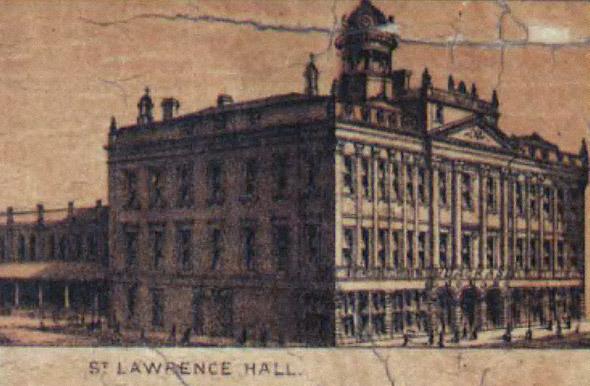 In that sense, it makes a perfect companion to my post about buildings lost to demolition in Toronto. 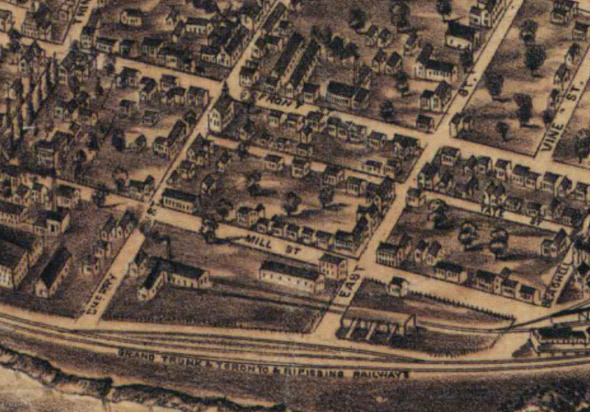 On the Bird's Eye View map one can see the original locations of Union Station, the Grand Opera House, Trinity College, the Provincial Lunatic Asylum, and many other buildings that were demolished or lost to fire. 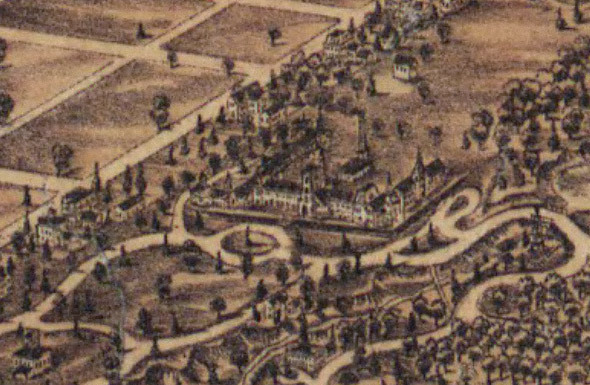 On the flip side, it is also extremely interesting to catch a glimpse of the buildings that remain to this day (University College, Osgoode Hall, St. Lawrence Hall, etc.). 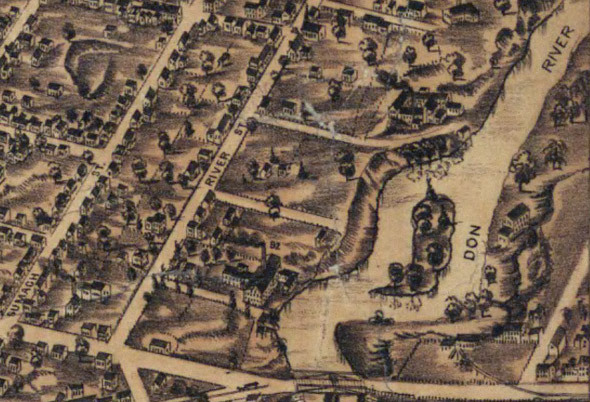 Also worthy of note are the many rivers and that can be seen throughout Toronto in 1876 (like Garrison Creek), the majority of which were buried in the years that followed. 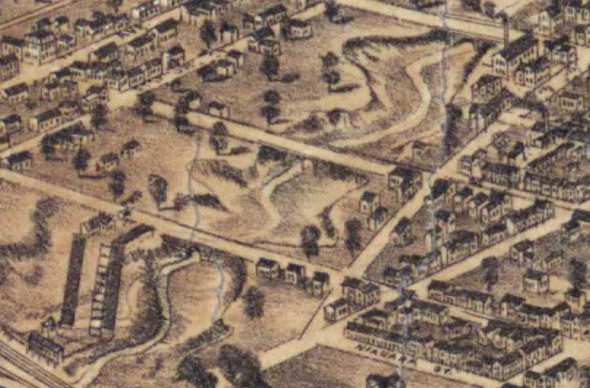 Below is a more detailed look at some areas of the map. To download your own version of the map, follow this link.